Like many young girls, I dreamt of becoming a ballerina. I toiled in the studio for hours after school and on weekends, but with not-so-perfect technique and a less than ideal body type, it was just a dream. 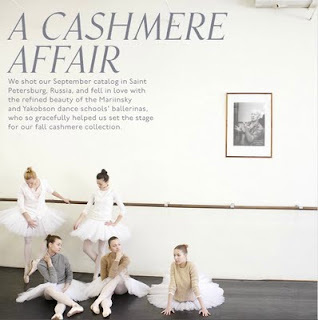 Even so, I have a special place in my heart for dance and am still drawn to just about anything ballet-related, which is why Martha Schabas' novel, Various Positions, caught my eye. This is not a book about pirouettes and tutus but rather the psychological effects ballet has on one young student at a prestigious ballet academy in Toronto (which sounded suspiciously like The National Ballet...). It's also a coming of age story and I found that Schabas was able to portray both the difficult world of ballet and teenage drama with much truth. A bit slow to start, this book really picked up after the first few chapters and had me captivated until the very end. And since we're talking about ballet, have you seen the gorgeous J. 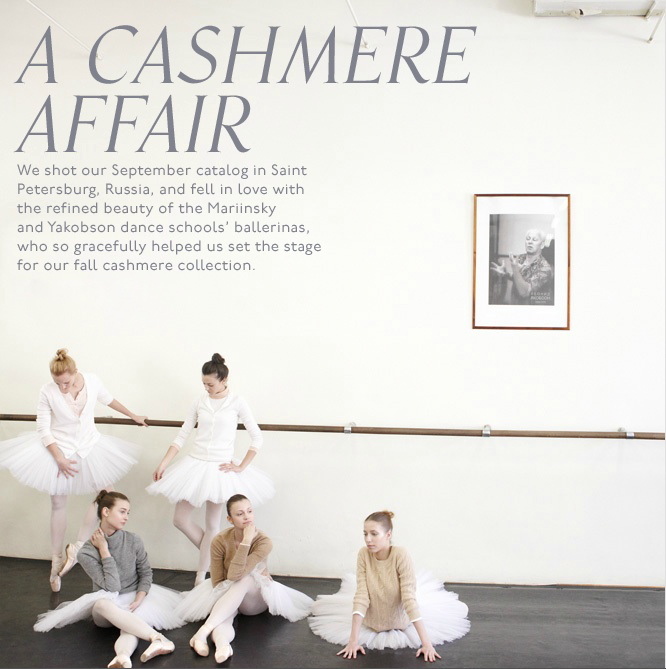 Crew ad campaign "A Cashmere Affair" featuring dancers from the Yakobson and Mariinksy Ballet Schools in Saint Petersburg, Russia? So pretty!